Sizes Included: Sunrise: Small 6.5" circ., Sunrise: Medium 8" circ., Sunrise: Large 9.25" circ., Evening: Small 6.5" circ., Evening: Medium 8" circ., Evening: Large 9.25" circ. Needles/Hooks Suggested: US 3 (3.25 mm) 32” or longer circulars or DPNs for knitting in the round. 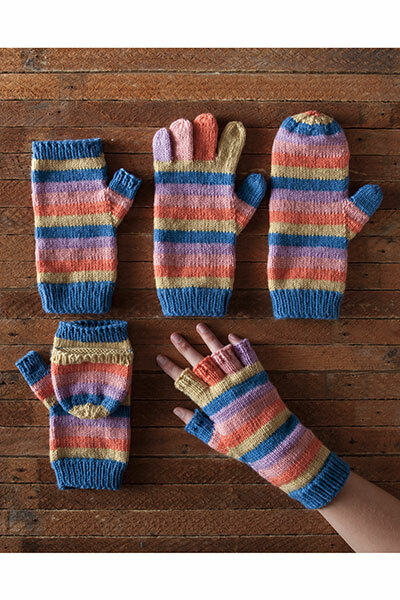 Learn to knit fingerless mitts, mittens, fingerless gloves, gloves, and convertible mittens - all from the same pattern! 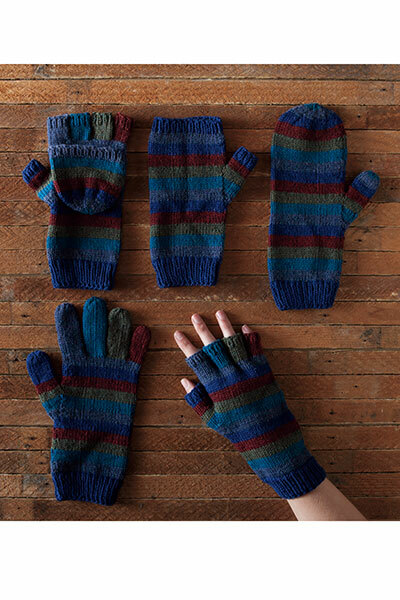 Start with the basic form of fingerless mitts to get familiar with the shape and as you build your knitting skills, your mittens will eventually transform into full gloves. 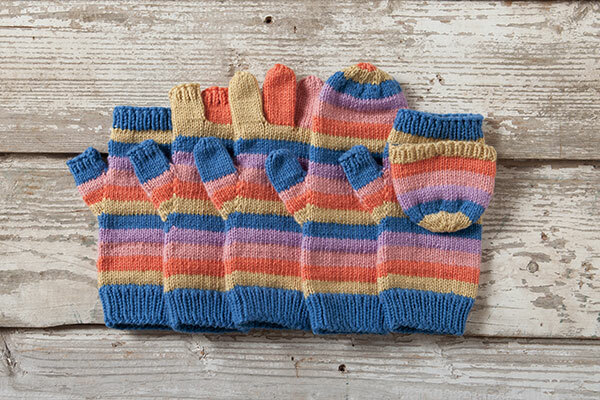 This simple pattern is dedicated to teaching you mittens, gloves and everything in between! 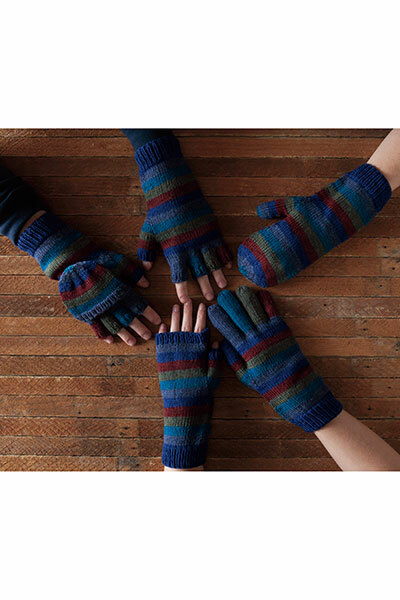 This pattern will walk you through every step, line by line, along with color photographs. Needles: US 3 (3.25 mm) 32” or longer circulars or DPNs for knitting in the round. A very fun kit! 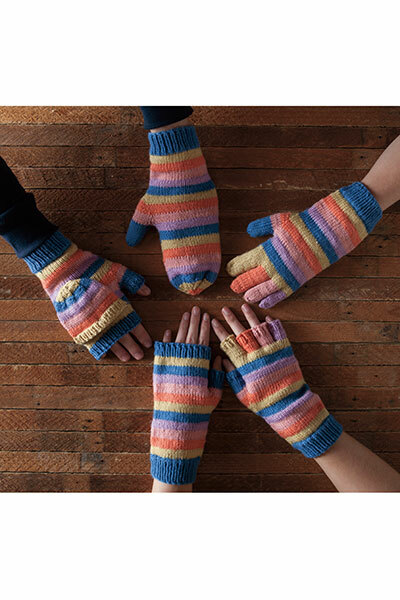 I love that I can pick whether I want to make mittens, gloves, fingerless, etc.